The Arroyo Grande Police Department is proud to sponsor the 32nd Annual Santa Cop program. Santa Cop gives law enforcement personnel the opportunity to interact with struggling families in a positive way to bring the families, and especially the children, an even more special holiday season that for many would not be possible without this program. Each and every child has a special and unique story, a story of excitement and appreciation that becomes so evident in their faces and voices when they receive their gifts from Santa Claus. We would not be able to continue to provide this program, year after year, without the compassion and concern for others and the valuable assistance from community members. We are excited to partner with Chili’s restaurant this year in hosting Santa Cop. Chili’s will provide a special breakfast for the families selected to participate in the program. 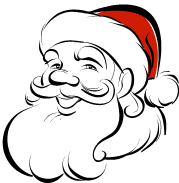 Police officers along with civilian and volunteer staff of the Arroyo Grande Police Department will join Santa Claus in presenting gifts and holiday festivities for all the families. If you would like to join in bringing holiday joy to Arroyo Grande families, please send your monetary donation or newly purchased unwrapped gift to: Santa Cop Program, Arroyo Grande Police Department, 200 N. Halcyon Road, Arroyo Grande, CA 93420. For more information, you may contact Christina Alvarez, Executive Secretary, at (805) 473-5115. The deadline for donations is Friday, November 30, 2018 to allow the elves sufficient time to purchase, bag, tag, and wrap the gifts and make all the holiday preparations. We wish you and yours a safe and happy holiday season and thank you for any donation you can make to help ensure that so many children experience the true meaning and wonder of the holiday season.